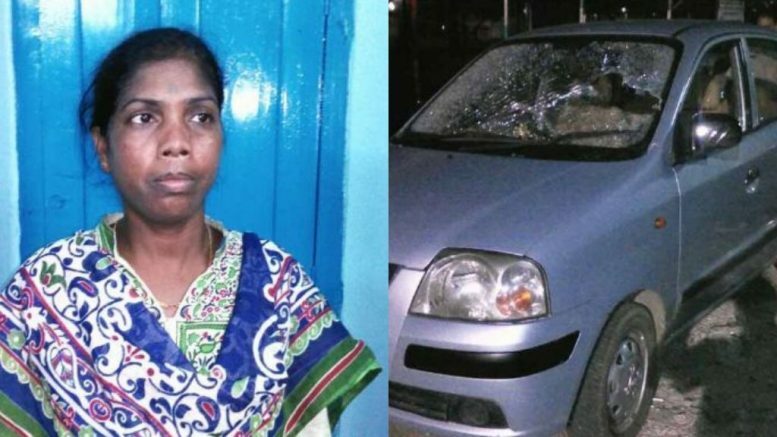 Kalyani, May 21: Trinamul Congress Councillor from Ward-15 of Kalyani Municipality Laxmi Oraon has escaped an attempt on her life late today evening when five bike borne miscreants fired at her while she was on her way to ward committee office travelling in her Hyundai Santro. The miscreants fired at least five rounds targeting her car, but luckily all of them missed target. The driver of the councillor’s car sped fast to escape the attack, but the bullets pierced the front and side window shields of the car. The incident occurred at about 7.15pm when Laxmi was approaching along the Kalyani Expressway. Police have started a case on the basis of a complaint lodged by the councilor, but, no person could be arrested so far in connection with the attack. Party insiders claim that the attack was fallout of intra party bickering. “She has become an eyesore to a section of the party as she has been raising voice on a number of issues involving nepotism, corruption “, a leader said. Laxmi has also indicated similar reason behind the attack. “Ami jader bara bhatey chai diyechi tarai achen ek akramoner pichoney”, She said. This is not the first incident of attack on her. In last month she was beaten up inside the Municipality building. On April 25, Laxmi was beaten up by six casual workers of the Kalyani Municipality inside the Municipality building a little after a board meeting. Her ward committee secretary Ranjit Das was also beaten up along with her. Sources said, the said attack also was an outcome of internal rivalry of the party. Oraon had also categorically accused a councillor for orchestrating the attack against whom she recently lodged complaints of corruptions before the Municipality chairman Sushil Talukder. But no disciplinary action was initiated against the councilor. Only six casual workers were suspended as a face saving gesture, a party insider said.